of the governor told NEWSCRYSTAL last night. The PDP primary designed to pick its flag-bearer in the state was scheduled to hold last Thursday, September 10, but was put off in the last minute by the party’s National Working Committee (NWC) and fixed it for today. Even though the party’s National Publicity Secretary, Mr. Olisa Metuh, had attributed the postponement to ‘’logistics issues,’’ NEWSCRYSTAL gathered that the postponement was at the instance of Jonathan to enable the party’s leaders decide on the alternative candidate to Capt. Wada. 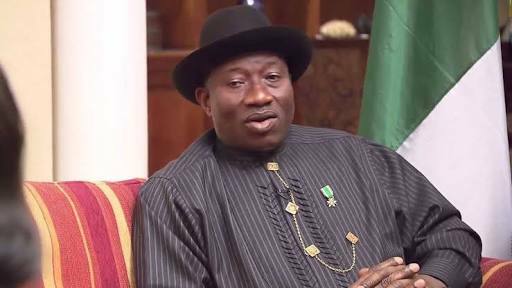 “It started like a rumour; but former President Jonathan came out openly today (Sunday) and told the governor that he would not support him. And as I speak with you, he is calling leaders of the PDP in the state not to support the governor in the primary that will take place on Monday,’’ the governor’s aide told NEWSCRYSTAL last night in Abuja. Investigations revealed that Jonathan and his supporters within the PDP’s organs had blamed the Kogi State’s governor for the party’s poor outing in the state during the last presidential election. The party was roundly defeated by the All Progressives Congress (APC) in the state, including in Wada’s ward and local government area and Jonathan’s men believed it was a deliberate act by the governor. “Jonathan believed then and he still believes the governor supported the APC presidential candidate, Muhammadu Buhari, because he is a Muslim; but it is not true. It was Senator Smart Adeyemi and Col. Ahmadu Ali, the former national chairman of the PDP, who misinformed the former president,’’ our source added. Apart from Jonathan, others PDP’s leaders against Wada’s re-election include: former PDP national chairman, Ali; former Governor Ibrahim Idris; Senator Adeyemi; Senator Tunde Ogbeha and others. Gov.Wada is seeking a second term ticket to contest on the platform of the PDP.